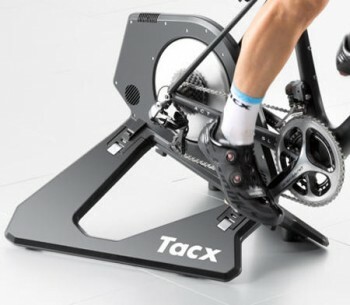 The NEO smart trainer by Tacx is their newest 2015 / 2016 turbo trainer, and it looks fantastic. 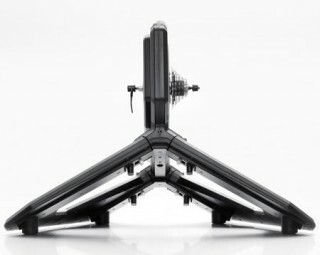 The state that it is the “quietest indoor trainer currently available on the market”, which is a bold statement and something that will appeal to a lot of users. 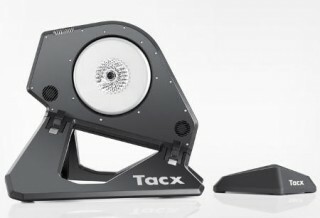 The Tacx NEO is a direct-drive trainer meaning you remove your bike wheel and this reduces tyre wear and also creates a ride with no loss of power. The powerful motor is able to apply resistance up to 2200 Watt and simulate slopes realistically up to 25%. This trainer even powers your wheel on descents for a truly realistic ride. Like some of the other Tacx trainers the NEO communicates using ANT+ and Bluetooth Smart, which means quick connection to all Tacx apps. View your workout performance on devices such as smartphones, bike computers and sports watches. Also, the NEO is compatible with the Tacx Trainer Software 4, Advanced. This means you can ride on 3D environments against other opponents if you choose. One great feature is that you can use the NEO smart trainer independently to any software, and when you do it behaves live a fluid trainer. This means you simply pedal and the resistance you feel is progressive and smooth. Just flick up through your bikes gears to get more resistance.